Synonymous to some of the most rewarding and stimulating wildlife activities, Chitwan National Park is located at the central Terai. The park is approximately 1,000 sq. km. of sub-tropical lowland jungle, five hours by road from Kathmandu or a 25 minute flight. 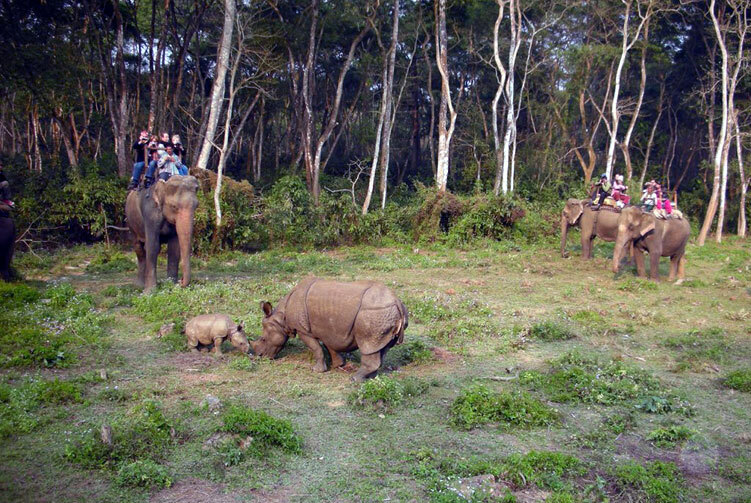 It is home to a multitude of wild animals including the Royal Bengal tiger and the endangered one horn Rhinoceros native to Nepal of which there are less than 1,500 surviving. There have also been more than 420 species of birds recorded inside the park. Most of our jungle itineraries include a stay at a lodge within the park of which there are only six. The accommodation is normally in double thatched cottage style rooms. A typical package is based on a two nights/ three days stay. Activities include elephant safaris, canoeing, bird watching and nature tours conducted by resident professional guides and naturalists. A visit to Chitwan provides you with the opportunity to fully experience the contrasts of Nepal. It offers an insight into a very different natural and cultural setting compared to the more familiar visions of the Kingdom. Chitwan is appropriate even for tour with a varied itinerary and can be easily combined with rafting and treks from the Annapurna region. Our clients often choose to continue the trip from Royal Chitwan to Lumbini, the birth place of the Buddha, an important pilgrimage site. Others proceed directly to the beautiful lakeside town of Pokhara with arguably the most famous mountain backdrop anywhere in the world. After a day of wonderful immersion into Kathmandu vibes, we are ready to take a long drive from Kathmandu to Chitwan Approx. 5 Hours, on a Tourist Standard Deluxe Bus. Upon arrival at Chitwan you will be welcome at the resort/hotel where you will be offered refreshment and be given a briefing on our services with jungle activities. After welcome drink and having rest (You can do Swimming) you will be offered lunch. After your lunch you are going to take Tharu Village tour to a nearby ethnic Tharu Village where you will learn more about the life and lifestyle of the Tharus. In the evening you experience the Panoramic Sunset view from the Hotel/Lode, On the bank of the Rapti River Camp fire along with local community tharu dance show and have your dinner. Overnight at Lodge. It's a beautiful day in Chitwan, After having breakfast in the morning your jungle activities continue. 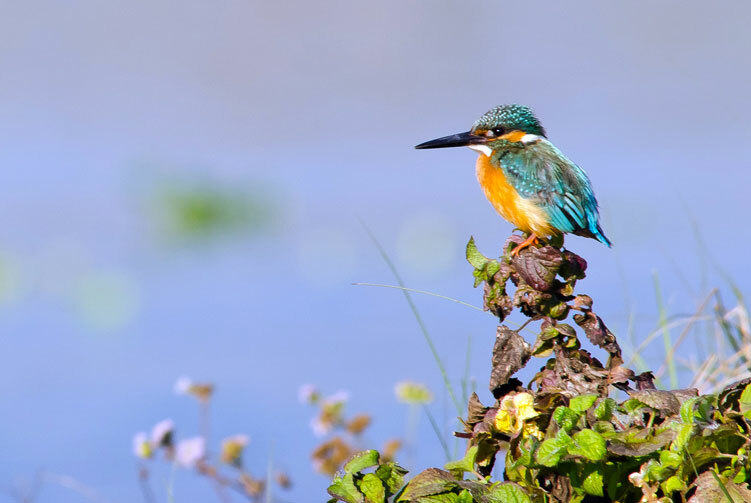 On this day our jungle guide will take you for Canone ride on the Rapti river with bird watching. Visit Elephant Breeding center, Jungle walk and return to Camp for lunch, after short rest ready for an Elephant Safari or Jeep Safari (You can choose one of two safari) return to camp in about dusk and after having rest ready for local community cultural dance show. Overnight at Lodge. This is the last day at Chitwan National Park, After Wake up with bed tea, refresh and rush to go for bird watching tour (this tour must be made at the time birds awake and head for food just before sun dawn), return to camp after having good breakfast it's time to say good bye to the staffs, proceed to the bus - bus starts late morning from Chitwan to Kathmandu. Full board meal during the safari period. Accmmodiation in Camp or Lodge at Chitwan. We offer you the best price guaranteed for Chitwan Jungle Safari. Chitwan National Park formerly Royal Chitwan National Park is the first national park in Nepal. It was established in 1973 and granted the status of a World Heritage Site in 1984. It covers an area of 932 km2 (360 sq mi) and is located in the subtropical Inner Terai lowlands of south-central Nepal in the Chitwan District. In altitude it ranges from about 100 m (330 ft) in the river valleys to 815 m (2,674 ft) in the Churia Hills. The Chitwan National Park is home to at least 43 species of mammals. 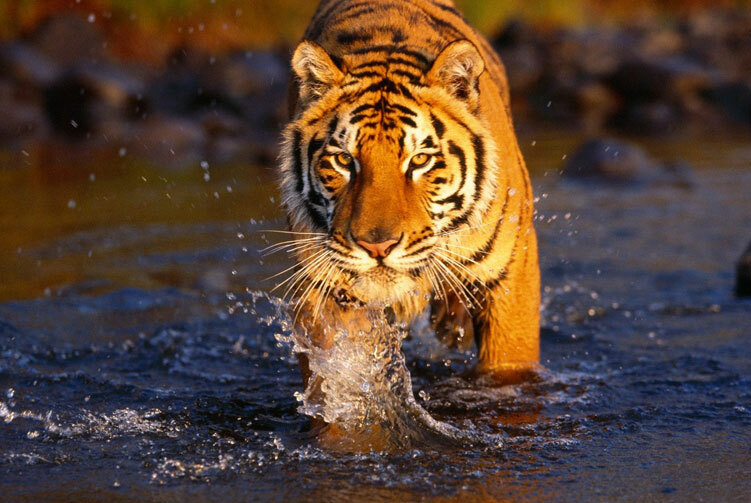 The "King of the Jungle" is the Bengal tiger. The alluvial floodplain habitat of the Terai is one of the best tiger habitats anywhere in the world. Since the establishment of Chitwan National Park the initially small population of about 25 individuals increased to 70–110 in 1980. In some years this population has declined due to poaching and floods. In a long-term study carried out from 1995–2002 tiger researchers identified a relative abundance of 82 breeding tigers and a density of 6 females per 100 km2. Information obtained from camera traps in 2010 and 2011 indicated that tiger density ranged between 4.44 and 6.35 individuals per 100 km2. They offset their temporal activity patterns to be much less active during the day when human activity peaked. Rhinoceros: since 1973 the population has recovered well and increased to 544 animals around the turn of the century. To ensure the survival of the endangered species in case of epidemics animals are translocated annually from Chitwan to the Bardia National Park and the Sukla Phanta Wildlife Reserve since 1986. However, the population has repeatedly been jeopardized by poaching: in 2002 alone, poachers killed 37 individuals in order to saw off and sell their valuable horns. Especially the park's alluvial grasslands are important habitats for the critically endangered Bengal florican, the vulnerable lesser adjutant, grey-crowned prinia, swamp francolin and several species of grass warblers. In 2005 more than 200 slender-billed babblers were sighted in 3 different grassland types. The near threatened Oriental darter is a resident breeder around the many lakes, where also egrets, bitterns, storks and kingfisher abound. The park is one of the few known breeding sites of the globally threatened spotted eagle.